The REALTORS® Association of Hamilton-Burlington (RAHB) reported 1,035 sales of residential properties located within the RAHB market area were processed through the Multiple Listing Service® (MLS®) System in October, 2018. This is a 13.1 per cent decrease from the same month last year. Year to date, sales are 17.7 per cent lower than last year at this same time. The sales-to-new-listings ratio, which can point to whether a market is in favour of sellers (above 60 per cent) or buyers (below 40 per cent) was 60.1 per cent. 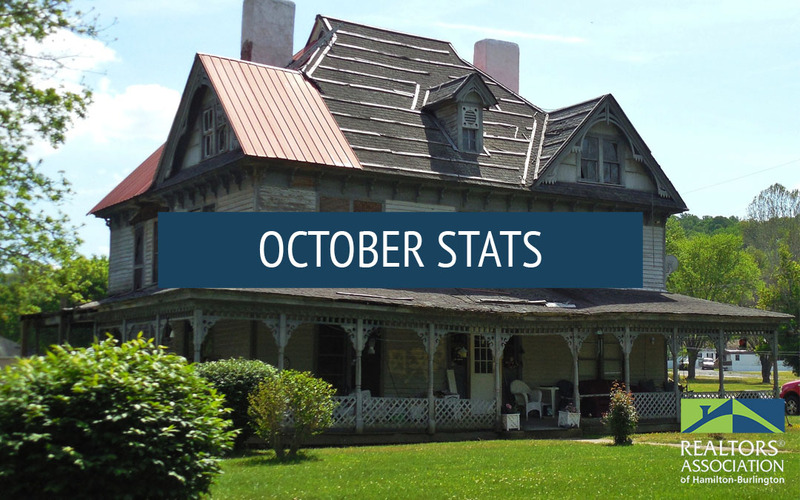 This is higher than last month and on the cusp of returning to a seller’s market. For comparison, in October 2017 the ratio was 65.5 per cent. “The single family market in the overall RAHB area remains in a balanced position, with a good inventory of homes for those looking for a detached property,” says RAHB CEO George O’Neill. The number of sales for single family properties within the entire RAHB market fell compared to the same month last year, while the average sale price increased by 5.9 per cent. Townhouse sales activity was also down from 2017, while the average townhouse sale price remained virtually the same. Apartment-style property sales were down from last year; however, average sale price was up by 11.6 per cent compared to October of 2017. When the major areas within RAHB’s market are isolated, Hamilton, Burlington and Haldimand County all saw an increase in overall average sale price, while Niagara North experienced a decrease in overall average price. 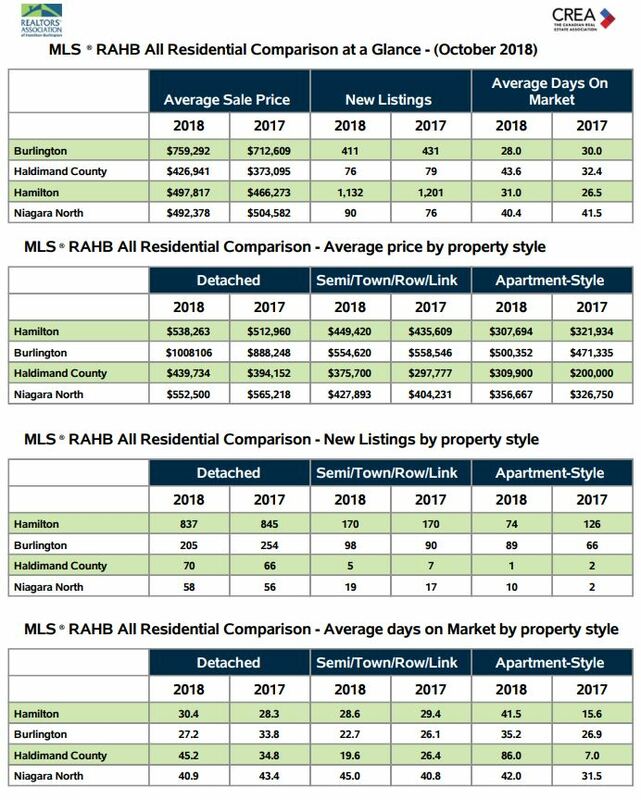 There was also an increase in average sale price for all property styles in each of the four RAHB market areas, except for Niagara North detached homes, Burlington townhouses and Hamilton apartment-style properties.